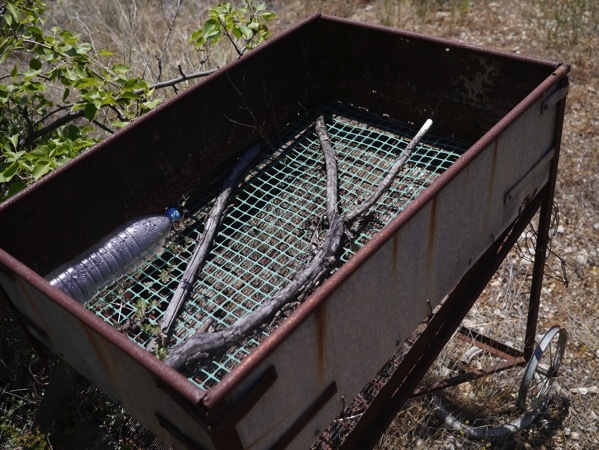 Our survey project, the Western Argolid Regional Project, or WARP, has just wrapped up the third year of fieldwork. 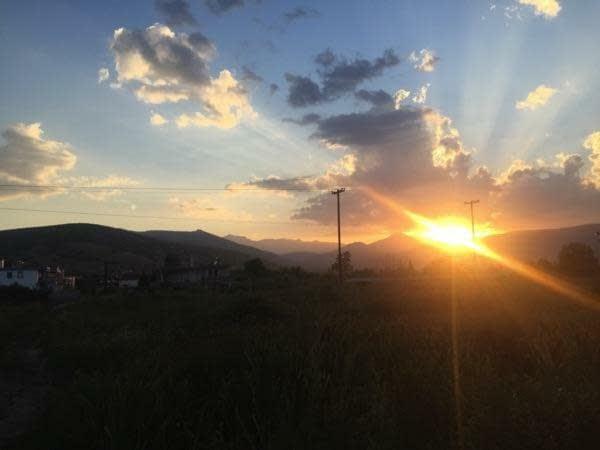 Over three years, we’ve fielded 17 field teams, 62 field walkers and 12 team leaders from Canada and the US, and this remarkable group has surveyed nearly 8,000 units covering over 18 square kilometers. 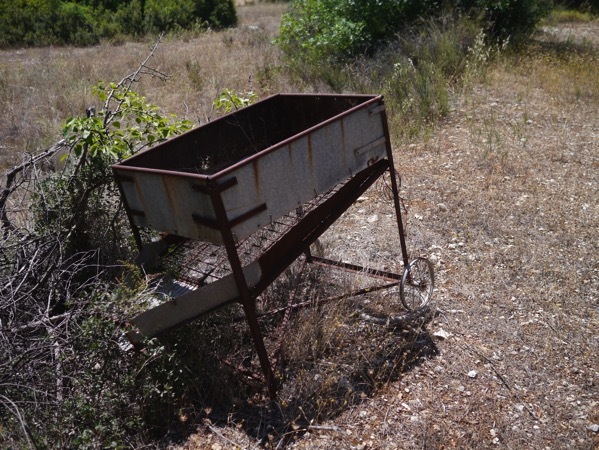 That represents the fieldwork that we applied to do in our five-year plan, submitted by the CIG on our behalf to the Greek Ministry of Culture and Sports. It’s a pretty remarkable achievement, I think, and it’s entirely due to the incredibly hard work of all of the many students that have worked on the project over the past three years. The landscape hasn’t made their work any easier. 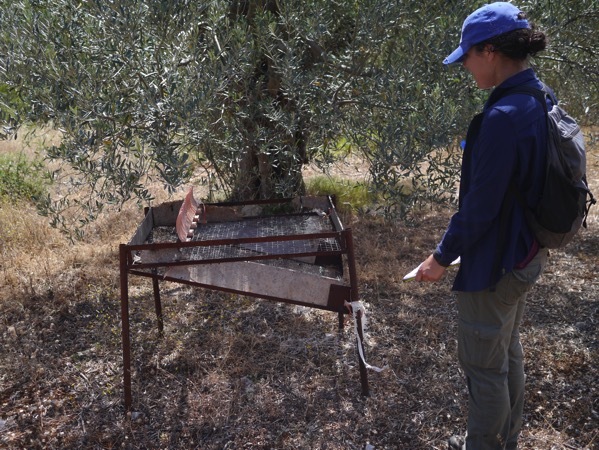 This year we worked in the zone between our 2014 and 2015 field seasons in the territories of all four of the villages that are part of our survey area: Lyrkeia, Sterna, Malandreni, and Schinochori. 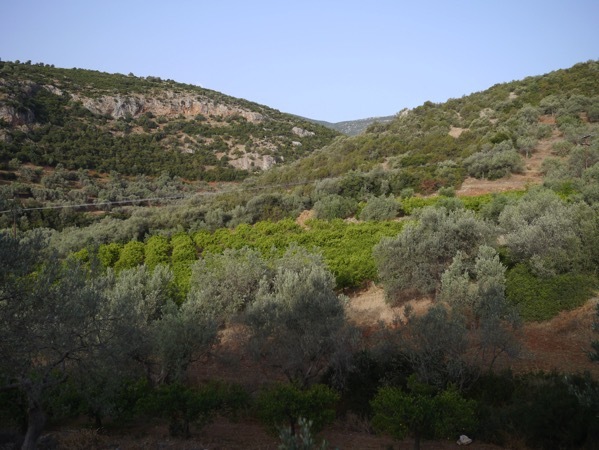 The terrain was really variable, from flat, well-maintained groves on the valley bottom to upland plateaus to steep slopes covered in maquis (mostly kermes oak, Greek πουρνάρι) that scratches skin and rips cloth, wild sage bushes that fill eyes and nostrils with pollen and dust, thistles, and thorny vines. One of the interesting results of this year was the very low artifact densities. 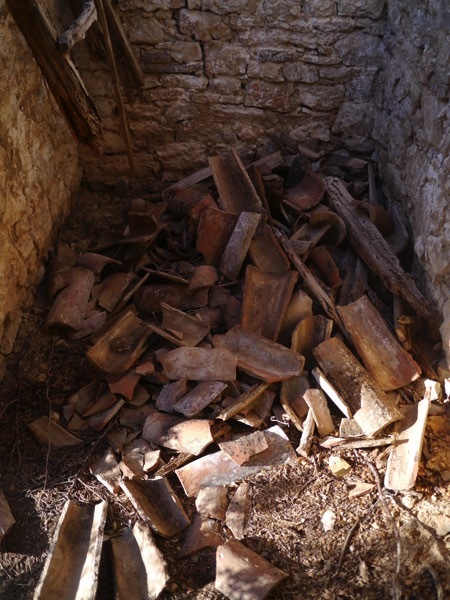 In 2014 we counted over 10,000 tiles and sherds per square kilometer surveyed; in 2015 that number was about 6,500, and in 2016, it was just above 2,700. 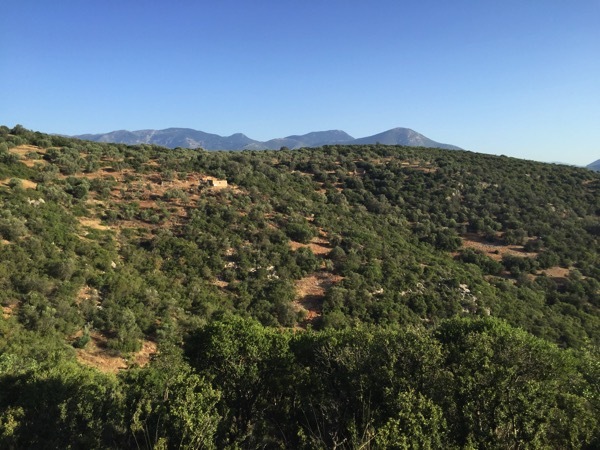 In some ways, this wasn’t too surprising; a relatively large amount of our territory this year was taken up by long, high ridges oriented east-west that back up against the mountain range that separates the Inachos and Xerias river valleys. The ridges themselves were too rocky and removed from arable land to have sustained settlements in most periods. 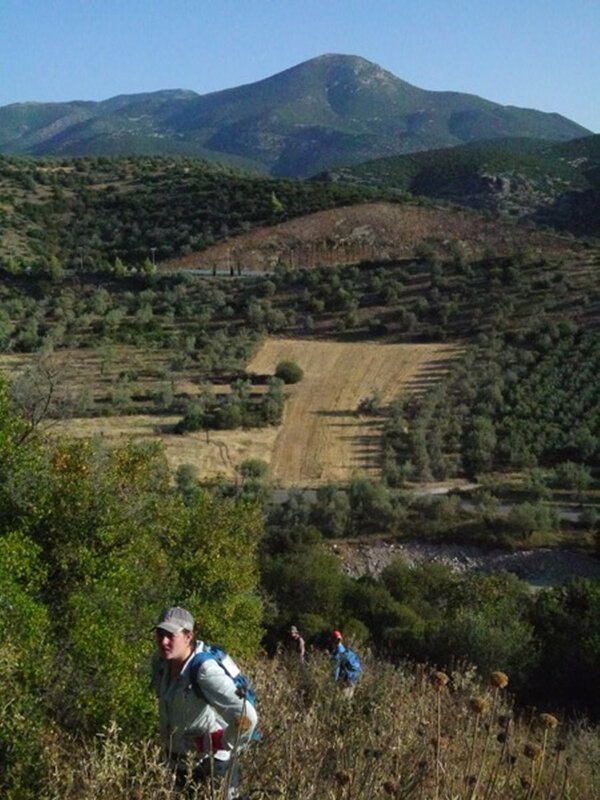 Rather, our sites this year tended to be located on small hills immediately above the course of the Inachos river, especially at “pinch points” where the valley narrows. 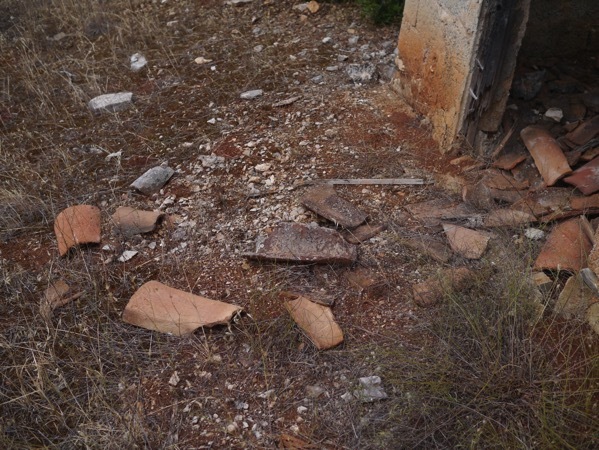 On the east side of our survey area, this type of site was represented by Kastraki, where the ruins of a Classical farmstead, with the remains of its stone tower and a large millstone, were surrounded by a fairly dense scatter of sherds and tiles, including Late Roman material. 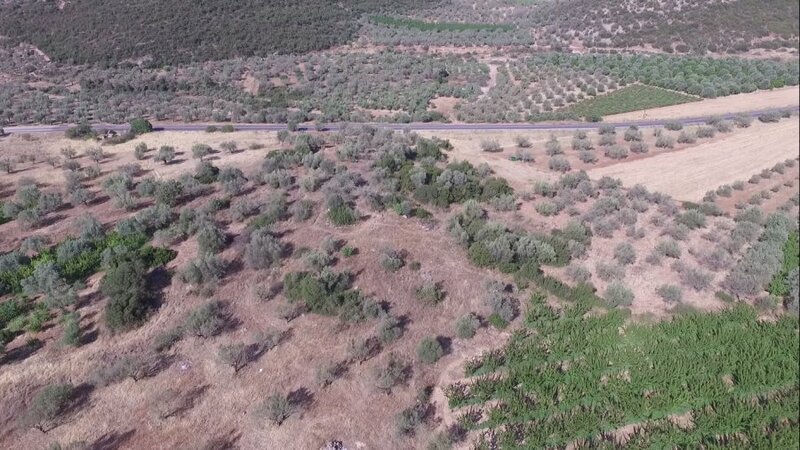 Many of our high density fields from the first two seasons were especially associated with Classical and early Hellenistic materials. 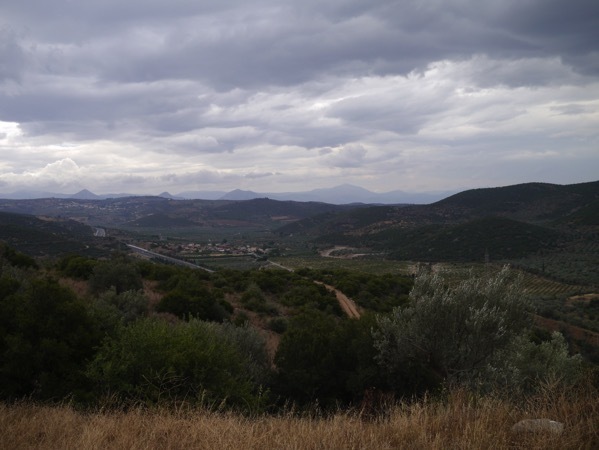 Our 2014 season included the polis of ancient Orneai, which seems to have reached its maximum extent and intensity in these periods, and our 2015 season included a large settlement near Schinochori, probably a town associated with the Argive polity. 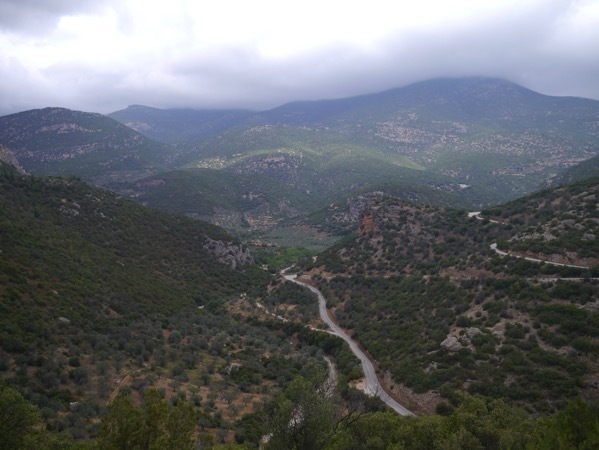 In the 2016 season, however, only a scattering of Classical and Hellenistic artifacts were found on the left bank of the Inachos river. 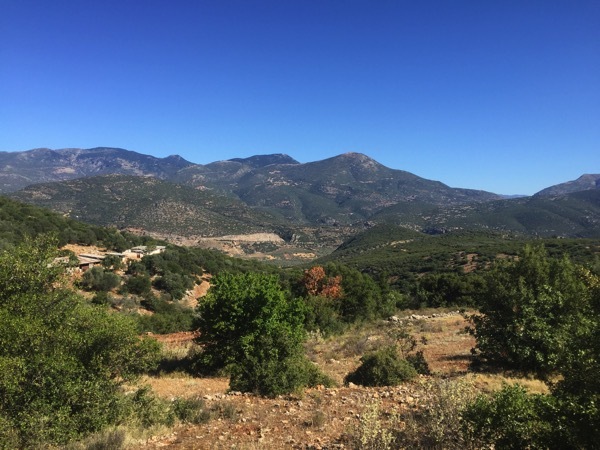 Thus, it may be that we have evidence for a boundary between the communities of the plain (surveyed in 2015) and those of the upper valleys (surveyed in 2014), manifesting itself as a largely empty space or borderland. This was not true in all periods, however: we found fairly consistent traces of Medieval and early Modern material in the 2016 season, especially on the slopes and hills above the river and its tributaries. 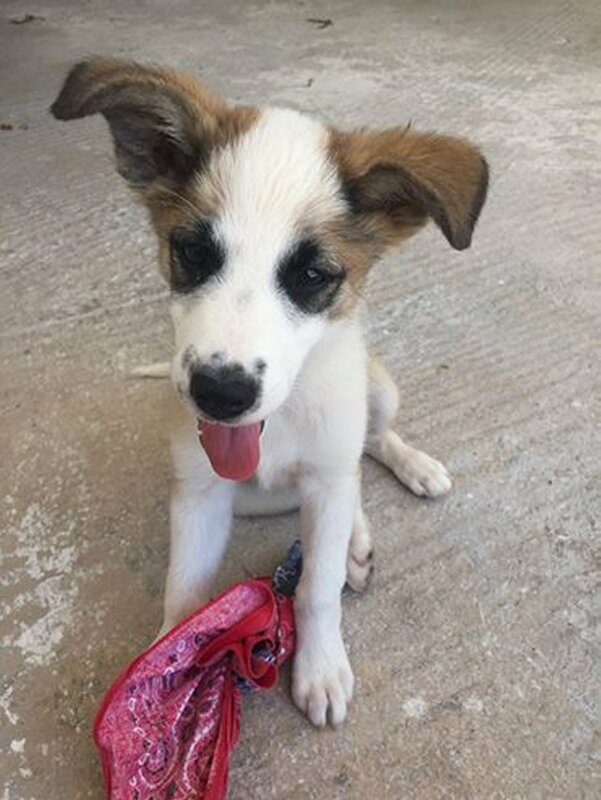 In non-archaeological developments, we continued our little traditions of Saturday fieldtrips to sites in the area, of going to see a play at Epidavros (this time, a raucously hilarious performance of Aristophanes’ Ploutos) and of adopting a local stray puppy and taking it back to North America. 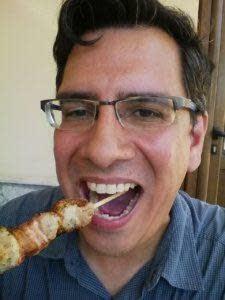 Every great cuisine has meat on a stick. Okay, that’s probably not universally true, but meat on a stick is still a wonderful thing. It’s portable and simple and delicious. And Myloi, where our project’s base is located, is famous for having the best souvlaki in the Argolid (in Greece, Livadeia is the champ). 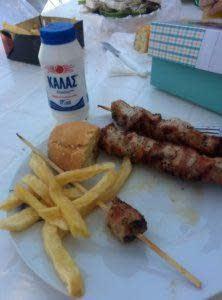 Souvlaki is Greece’s contribution to the fast food meat-on-a-stick. It was a staple of my childhood summers, and I’m pretty passionate about it. I have a little mental database of my favorite places, and I sometimes talk (half-seriously) about opening my own super-authentic hole-in-the-wall souvlaki joint in north America. 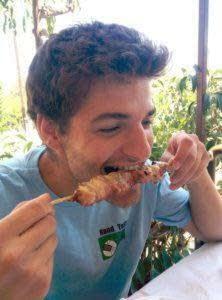 So you can imagine my horror when I realized that most of the students and staff on WARP don’t know how to eat souvlaki properly. 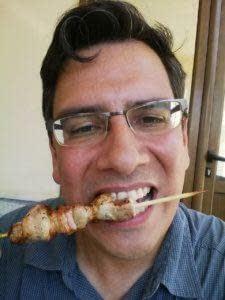 So I thought that I’d provide a little primer for people who haven’t grown up eating meat on a stick. 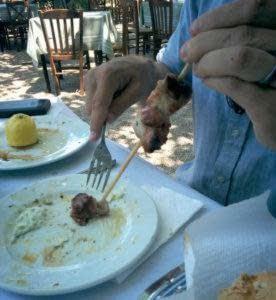 Souvlaki is street food, so using a fork or any utensil is improper. Do not eat souvlaki like it’s corn on the cob. It’s gross and messy. The only correct method is to tear individual chunks off the stick by biting down on an individual chunk and pulling it off of the stick. Chicken doesn’t have enough fat, so chicken souvlaki is way too dry. Best to avoid it. The only correct meat for souvlaki is pork. Lamb souvlaki is not a thing in Greece (although Turkish Çöp şiş is delicious), and beef souvlaki is an abomination. Souvlaki is always served with bread and french fries. You might ask why you need two different starches. That would be a bad question. Put it out of your mind. 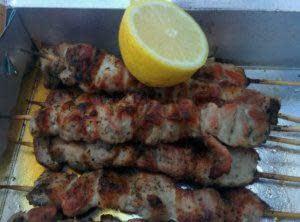 Souvlaki needs freshly squeezed lemon juice on it immediately before serving. 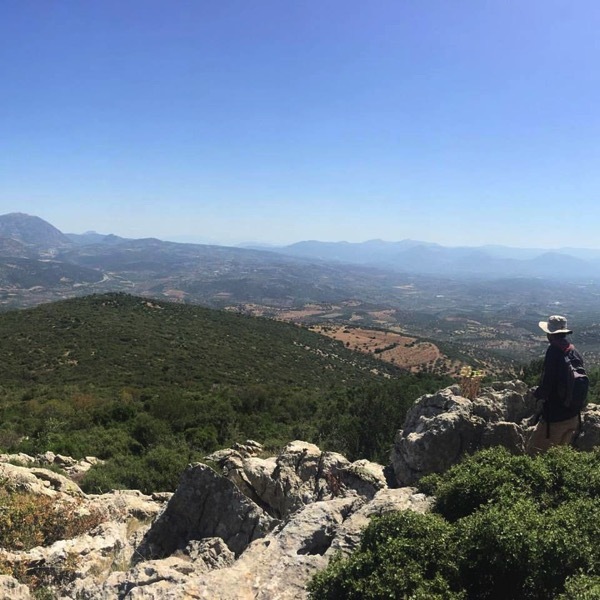 As the last field season of the Western Argolid Regional Project (WARP) winds down this week, I got to thinking about what I’ve learned working with a remarkable group of graduate students and friends. While it’s impossible to compare archaeological projects, I can honestly say that this one provided me with an advance course on archaeological work. I was largely free from thinking about logistics, budgets, or even meals, and could think about 90% of my time about archaeology. I got to see some remarkable sites, think expansively about our 30 sq km survey area, take in some amazing views, and play with an impressive dataset. We have years of work ahead of us to understand our field work. At the same time, I think I’ve learned some things about archaeological projects over the past three years. Most of these observations are personal (and not entirely professional), and speak to my interest in the personal mechanics and procedures at the core of archaeological work more than formal methods. (1) People Power. On both of my major archaeological field projects, we had great team leaders and trench supervisors. Over the course of three or four field seasons, these graduate students became increasingly autonomous in the field. During the most recent season on WARP, our team leaders more or less ran the day-to-day field program. The directors would provide big picture ideas of how to approach various goals and the team leaders would then organize the teams and take them to various areas and offer quick reports at the end of the field day. They’ve increasingly taken ownership of the data that they collect and their approach to our larger field program and with any luck this ownership will extend through the analysis, writing, and publication process. The other thing I learned on WARP is that nothing makes up for people power. On WARP we had 6 field teams with 5 teams in the field at once and this allowed us to churn out about .3 sq km per day. 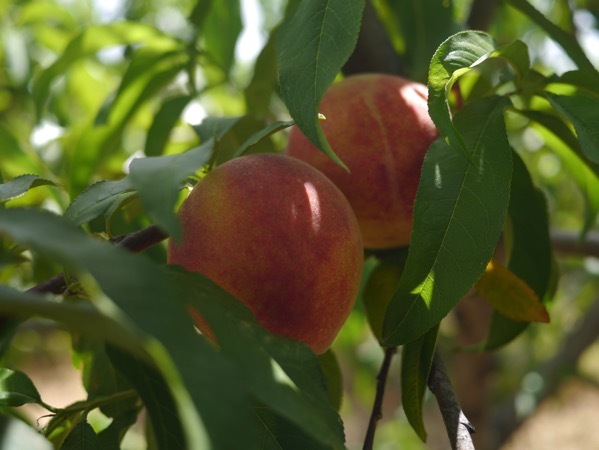 No improvements in efficiency – using technology or other Taylorist methods – makes up for simply using more people in the field. More people allows us to do more work. Archaeological work is still a matter of person power and the more survey teams in the field, the more gets done. (2) Communication. One thing that I know I need to improve is my ability to communicate consistently and clearly with our team leaders, my colleagues, and our students. On the one hand, we tried hard to communicate the big picture to our students and team leaders. We did a series of lectures at the start of the season and interaction in the field. The problem, as always, is that the big picture is always changing and as parts of the landscape start to “make sense,” we end up reformulating hypotheses and shifting our priorities appropriately. Communicating this on the fly is a challenge and even more challenging to communicate across six field teams and their field walkers. It was also challenging to keep lines of communication open between the folks working in the apotheke and in the field. While this year, they managed (remarkably) to more or less keep pace with the field teams so we had a pretty decent idea what we were finding and where. But there was always a bit of lag between weekly plans and daily discoveries so that teams often found themselves just a bit out of sync. Finally, there is a balance between overwhelming team leaders with daily meetings (and impinging on their already limited free time) and having meaningful conversations on a regular basis as to the plans and logistics of a project. At the same time, we had to balance conflicting levels of commitment to the project, different research interests, and daily personnel changes. (3) Structuring my Days. I am a creature of routine and my routine helps me to anticipate how long things will take and how much energy things will require. In other words, structure dictates my productivity in a very straight forward way. I got up around 5 am to do email and blog, and then fieldwork runs from 6:30 AM to around 12:30 or 1 pm. After lunch and a short nap, I spend some time on data management, my notes, and planning the next field day. 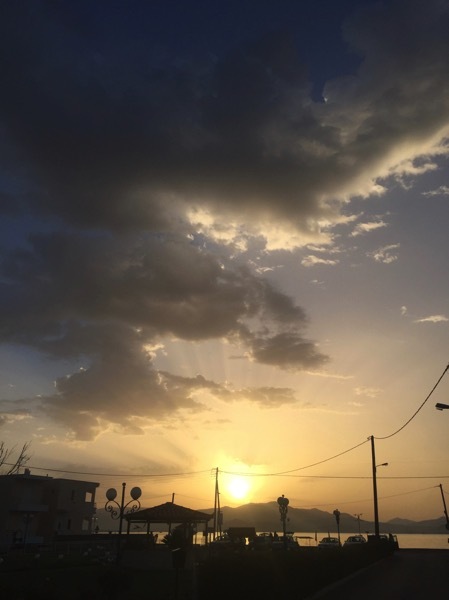 Structuring my day became all the more important because for the first time in my archaeological career, however, I had to divide my attention between long-term academic (writing, publishing, thinking) projects and my daily fieldwork regimen. 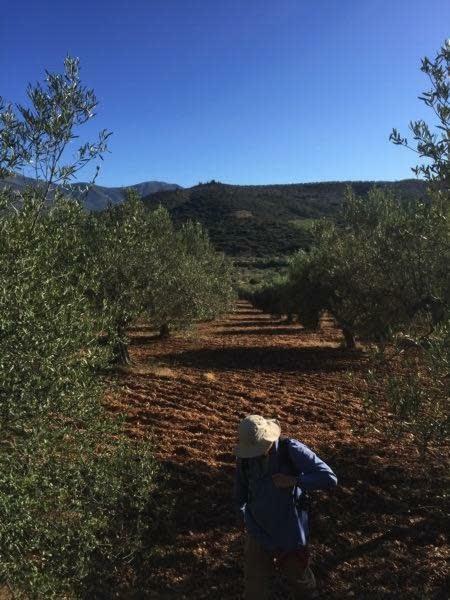 Fortunately, my colleagues here on WARP made it easy for me to structure my afternoons out of the sun so I could focus on my myriad little projects and responsibilities that do not vanish when I get into the field. My daily schedule is the key. (4) Pacing and Patience. I’m impatient. I want all the data, all the knowledge, all the field work, and all the features, sherds, and places at once. Of course, archaeology doesn’t work like that. Archaeologists must be patient, stay focused on a method, and record diligently, and for the most part I do that. But it takes a massive effort on my part to reinforce our methods in the field, to stick to a plan, and to communicate this plan effectively to our students and team leaders. Archaeology takes time. Pacing then becomes a really important part of field work, because it ensures that our patience can keep up with our work. We’ve been fortunate the last two seasons to have a running start. We tend to work long days in the first two or three weeks of the season and then let our foot off the gas in the last two weeks or so. 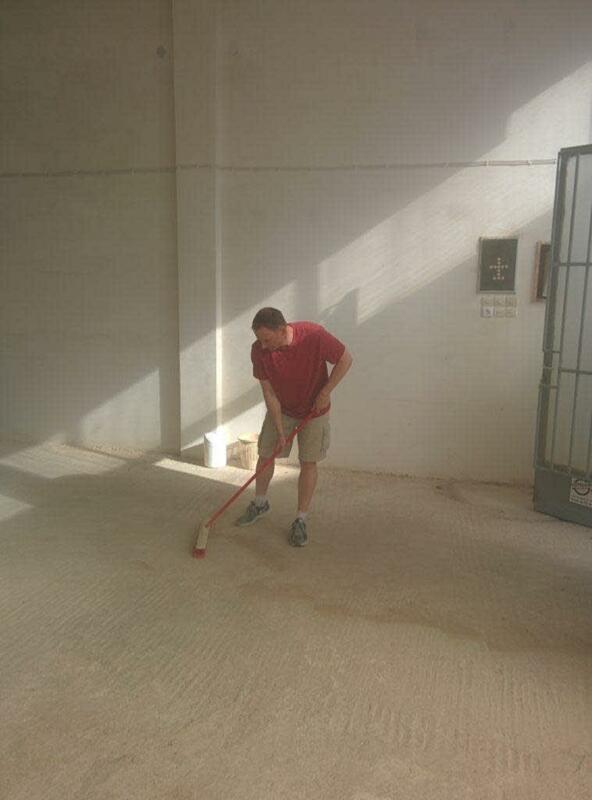 For example, we leave the field a bit earlier and I tend to take a day off per week to recover and process data. This means that as the project develops and as we have more data from the field, we have more time to process, organized, and analyze the data coming out of the field. This isn’t to say that we’re not exhausted at the end of the season, but that our pace has ensured that our patience was exhausted at the same point the we accomplished our research plan for the field season. 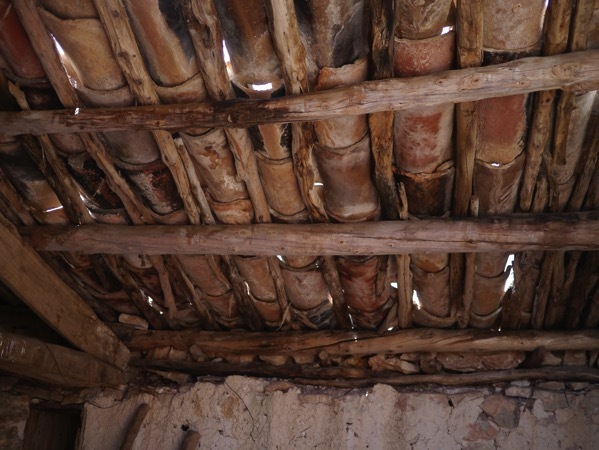 (5) The Archaeological Body. I’ve blogged a bit about how archaeological work – especially intensive pedestrian survey – punishes the body. Archaeology does more than simply exhaust the body, but the entire process of archaeological work exerts a tremendous force upon our person. Our schedules become dictated by the demands of archaeological work on our bodies. Physical fatigue influences our patience, frustration levels, attention to detail, and our ability to concentrate, and this, in turn, shapes how we document the landscape. In a more productive way, our body in the landscape becomes a way of understand scale and movement through space. Gentle slopes on maps become steep climbs in the field. Densely vegetated hill slopes give way to easy paths. Points on the map maybe closer than they appear or much further apart depending upon the ease of movement through the landscape. 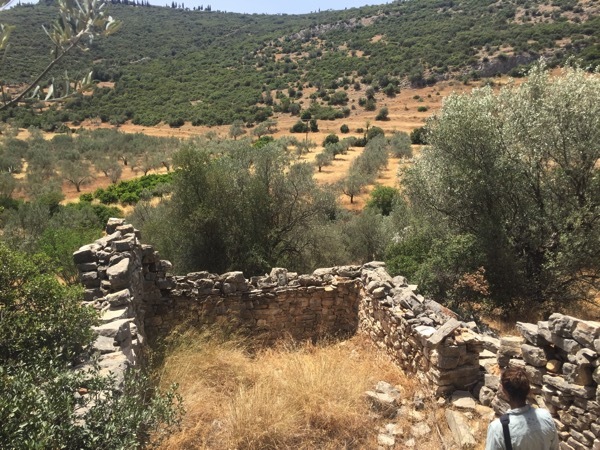 Earlier in the week, I posted on these final days with the Western Argolid Regional Project (WARP) and the thought that these might the final field days of my career as a survey archaeologist working with big project teams. 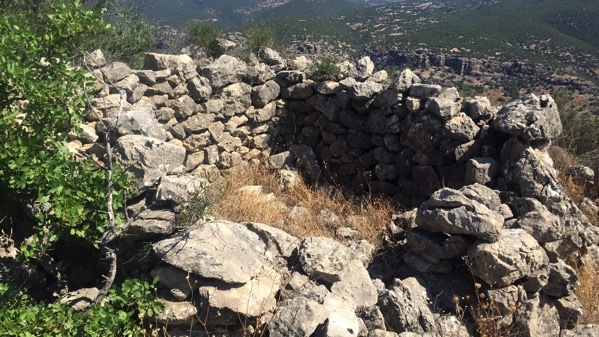 We had a couple days of especially rugged terrain, and some remarkable finds. Alyssa Friedman, one of our exceptional group of team leaders, took some fun photos of me in the field. 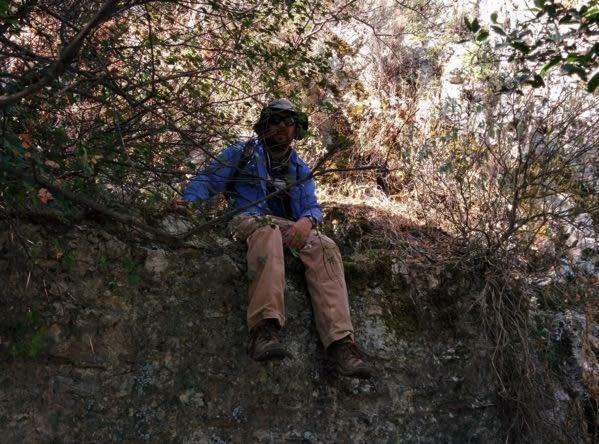 We took a great team of students up into a densely vegetated hill slope and did some rather extreme intensive survey. 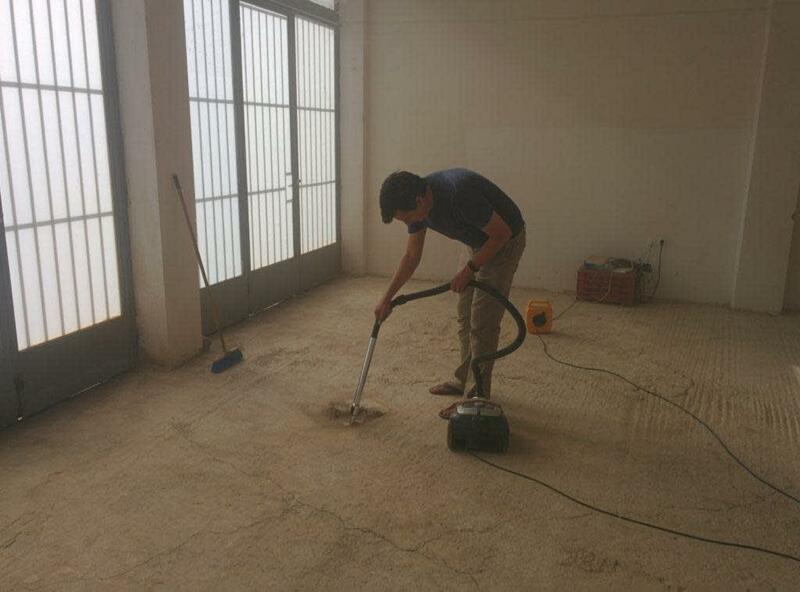 Of course, these two days of surveying reinforced my general idea that I’m too old for this kind of work. In fact, I needed a little rest in a tangle of thorny vines. 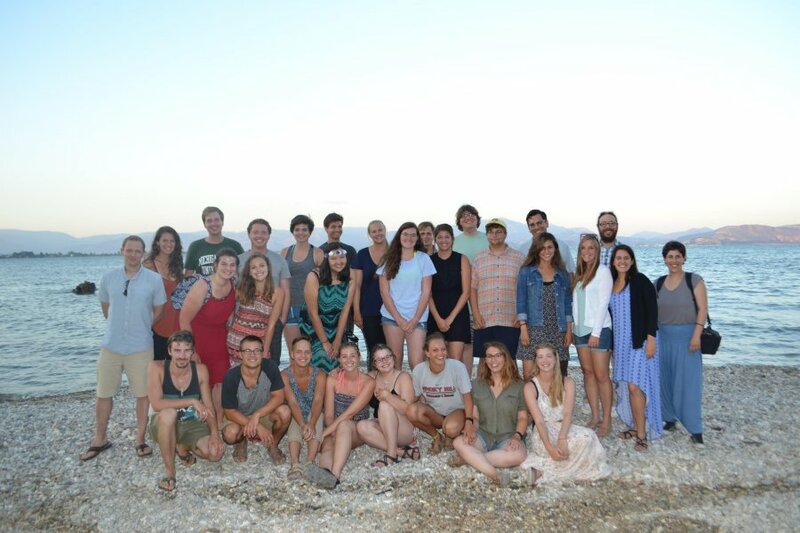 We have about one more week of field work on the Western Argolid Regional Project. The project has been at full strength for the last three and a half weeks and the field teams have been remarkably efficient, averaging about .3 sq km per day. I’m tired. 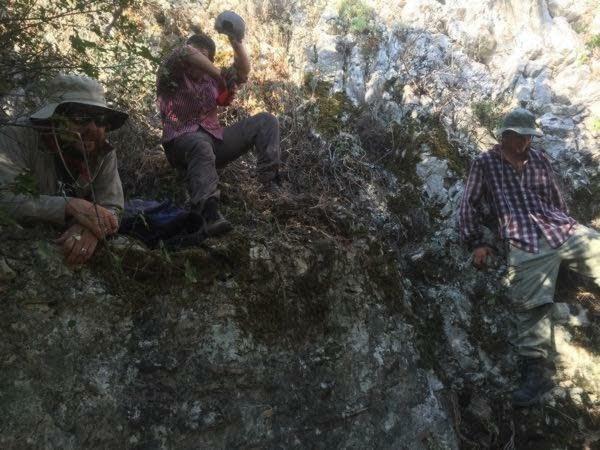 My body aches, and fieldwork has increasingly become an exercise in pacing, energy management, and hydration as teams wrap up surveying difficult units or work on special documentation projects across our survey area. It dawned on me that this could be my final field season on a major project in my career. I’m in my mid-40s and by the time this project is published and my other projects are done, I’ll be pushing 50. Whatever type of fieldwork I do as a 50 year old won’t be the same – or probably even similar to what I’m doing now. Last week, I went on one more hike just to check if a web of goat tracks could have been a route between two areas of our survey zone. It was obviously a way, but clearly not a route (much less a path or road). 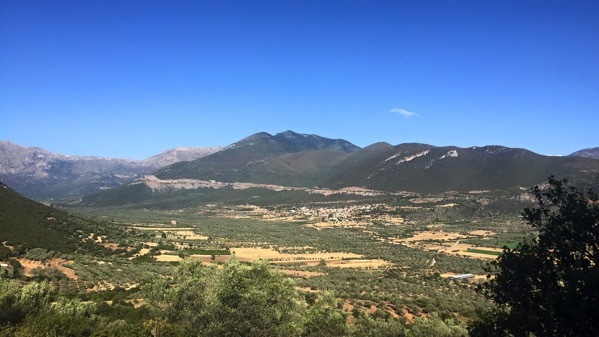 These long walks were my archaeological calling card for years, particularly in the Eastern Corinthia, but after this week’s hike, I’m pretty sure my boots will be reserved for the more mundane and low impact tasks like keeping my socks clean. 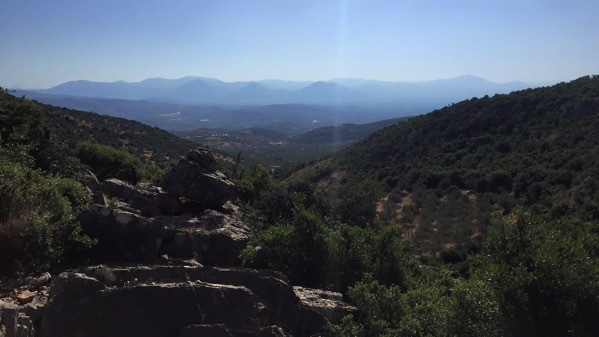 The biggest thing I’ll miss (other than, you know, finding stuff and the bizarre conversations one has while stomping through dense maquis in the Greek countryside) are the unexpected vistas that appear as one rounds craggy hills or looks back on ones path. They seem to scale endlessly across ever shifting foregrounds and backgrounds. Hills become ridges, ridges become plateaus, plateaus become fields. 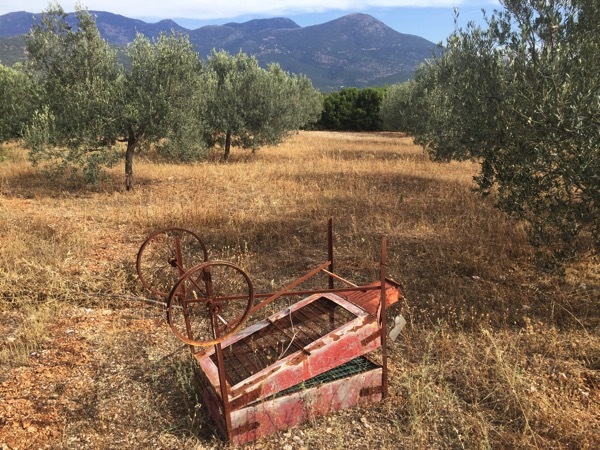 The landscape goes from olive trees and plough marks to fields and the countryside. Paths so obvious from maps or photographs disappear into vegetation. I’m sad that I’ll likely never again hike around with the same sense purpose as I did last week and on-and-off over the previous 20 years. 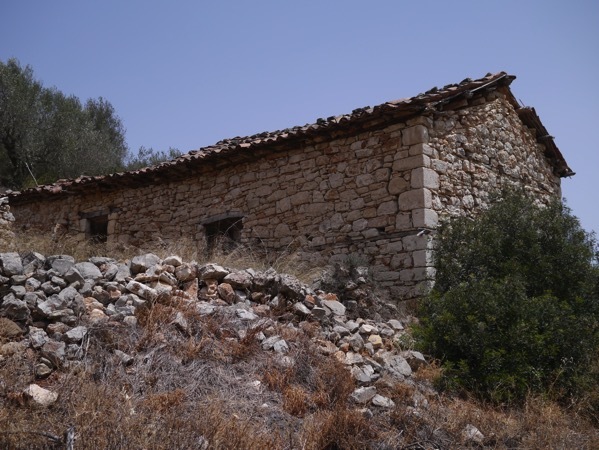 Another week in the landscape of the Western Argolid brought another little assemblage. This time we discovered four or five olive sieves in a group. 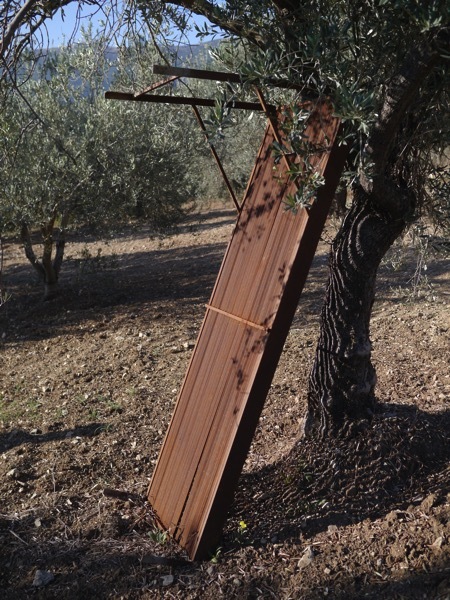 An olive sieve removes leaves and twigs from the olives making it easier to prepare the olives for pressing or curing. 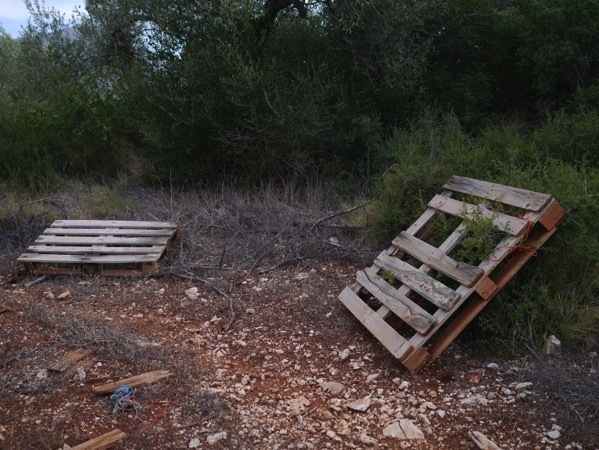 They’re little studies in design and improvisation with bike wheels, snow fencing, chicken wire, and rebar attached to improvised frames and boxes. 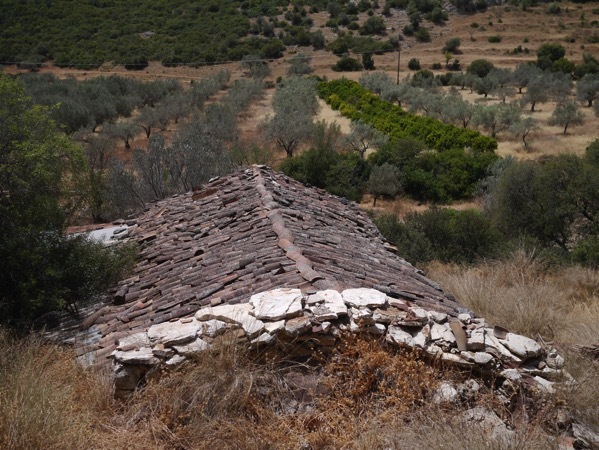 We also checked out a few small houses that dot the olive groves. 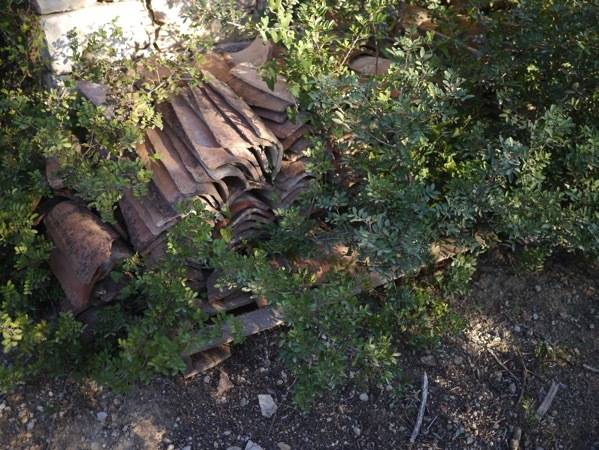 Most of them look pretty recent in date, but they have collapsed roofs and tile scatters. Some landscape photos from our first week in the season. I like stuff. Readers of this blog know that my interest in things extends from by interest in archaeology, things, and ancient artifacts to modern audiophile gear and the things that archaeologists use in the field. As the first week of Western Argolid Regional Project is almost done, I wanted to share some of my new favorite things. Last spring, Richard Rothaus and I chatted at some length about what’s in our bags, our trucks, and our archaeological tool kits. A few years earlier, I presented what was in my bag. Most of that still holds, with a few exceptions. For example, I’ve upgraded my headphones, my amplifier, and my portable music player. I accidentally left my beloved Wonpro plug strip in the Polis storerooms. Otherwise, my bag looks pretty much the same. I did add a little gear to person, though, that makes intensive pedestrian survey and archaeological fieldwork, in general, better. Mountain Khakis. A few years ago on a lark, I bought a pair of Moutain Khakis to wear in the field. These pants changed my life. For the past four field seasons I’ve worn them almost every day in the field. They’re thick enough to prevent all but the most insistent thorns from getting through and they’re cotton which breathes well in the hot Mediterranean summer. These are canvass pants. They’re great. Get them for field work. Seiko Watches. 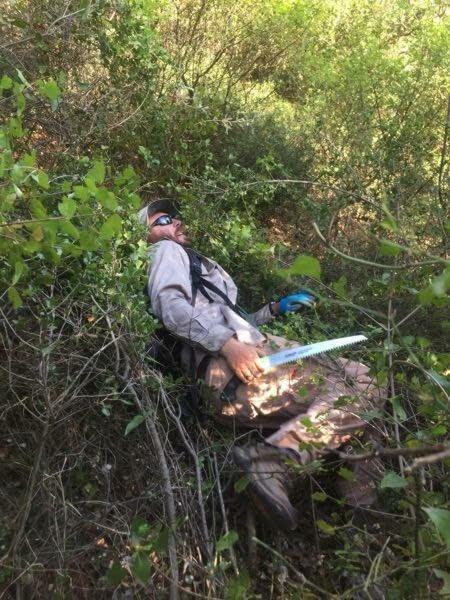 I wear a watch in the field for lots of reasons. Mostly I like to wear a watch, and, in particular, I like to wear a mechanical watch. It’s not that digital and quartz watches aren’t fine things, but for the dollar, a well-made mechanical watch is the way to go, and they don’t have batteries to worry about. Last year, I relied on a trusty Seiko 5, a more or less bullet proof Seiko watch that runs about $50 on Amazon. This year, I upgraded to something a bit more rugged, a Seiko dive watch, and a SRP777 in particular. This watch is a reproduction of the iconic 6309 diver made in the 1970s and 1980s which was known for its cushion shape and slightly recessed, polished bezel. It has a solid, mid-range, Seiko movement in it, is hacking, automatic, and hand winds. I get about two days of reserve on it. It’s a nice watch and great field work piece. Smart Wool socks. Dimitri Nakassis mentioned these socks to me last year in an offhand way, and when I started looking for a some field socks this spring, they were there staring at me at a local sporting good store. So I got a few pairs to trial this season. So far, they’re great. Not only are they super comfortable, but they dry super quickly which is important when quick turn around after washing is important. 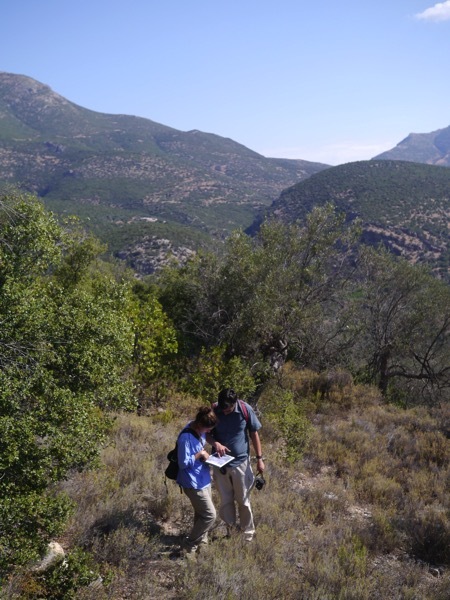 Today was the first full field day of the final full field season of the Western Argolid Regional Project (WARP). It was immeasurably better than the first full day of the project last year and probably a bit better than our first field day in 2014. 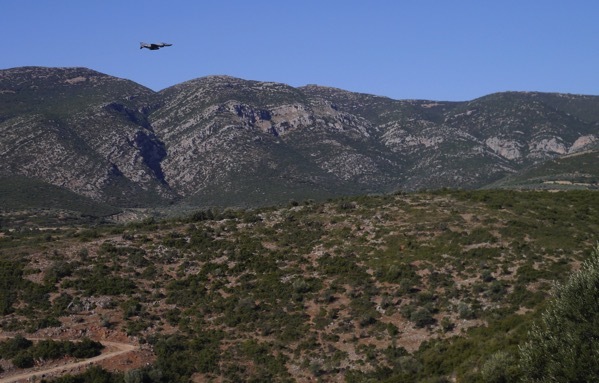 While we still have some open plains around the Inachos river, for this season, our survey area is a striking mix of narrow valleys and steep hill slopes. 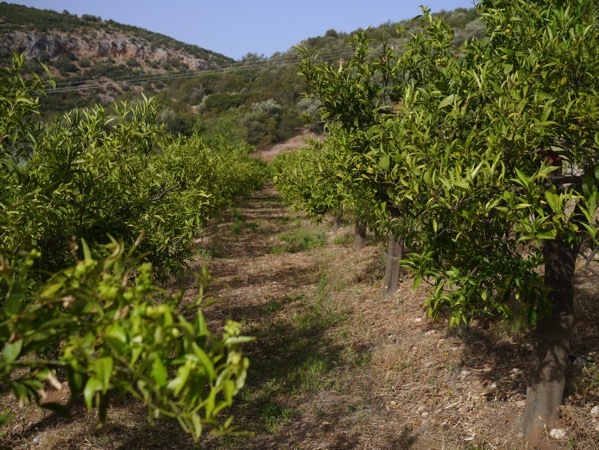 Oranges, apricots, olives, peaches, vineyards, and the occasional pomegranate trees, planted in neat rows organize our survey units. More than any other year, we’ll have to contend with the early modern and modern landscape. So think of us as we stagger to our cars at 6:30 in the morning.